Congratulations to the tour winner Amy M. and to the host prize winner Natural Bri. 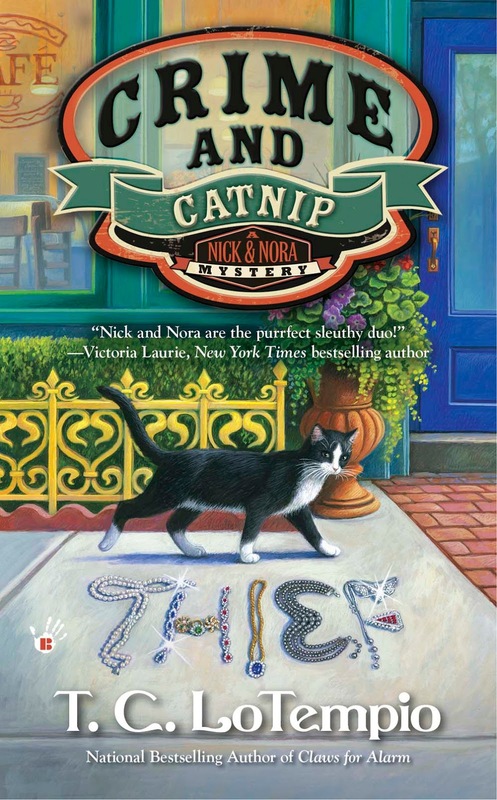 Goddess Fish Promotions is organizing a Virtual Book Tour for Crime and Catnip by T. C. Lotempio, a cozy mystery available December 6 from Penguin. The tour will run November 28 – December 16, and T. C. Lotempio is available for guest post and interviews. Review copies will be available soon. T. C. Lotempio will be awarding a $25 Amazon or Barnes and Noble GC to a randomly drawn winner via rafflecopter during the tour, and a $25 Amazon or Barnes and Noble GC to a randomly drawn host. December 8: Archaeolibrarian - I Dig Good Books! I would love to host and kick off the tour on 11/28 on Fabulous and Brunette!! I would love to have a guest post spot - thanks!! I would love to host a guest post on Dec 15th, thanks! I can host Dec 1, thanks! The Reading Addict can host 12/2, guest post, please. Thank you! I can review on Dec. 7th, if its okay to read as a standalone. (really curious about that cat & the detective's story). But if not, I can do a guest post or interview. Thanks! I can do a guest post on any date on Sharing Links and Wisdom. I would like to host a guest post on 12/14/16. Notes From a Romantic's Heart will take any open date.